How do you choose the best pressure cooker for you? Everyone who is impressed by the pressure cooker and its ability to cook quick and healthy meals has one important question “Which is the Best Pressure Cooker for me?” The very fact that you could not find an answer means that the answer is not simple black and white decision. You needs, lifestyle, budget - all have a factor in that decision. The most important thing to look for is the longevity of cooker, you want a pressure cooker that will serve you for life. For a small home or a family of two or three people, pressure cooker with 3-4 quart capacity id sufficient. For a standard family, a 6 quart cooker is ideal. For large families, you would need at least an 8-10 quart cooker to cooker meals in one go. You can use these big cookers for parties too! 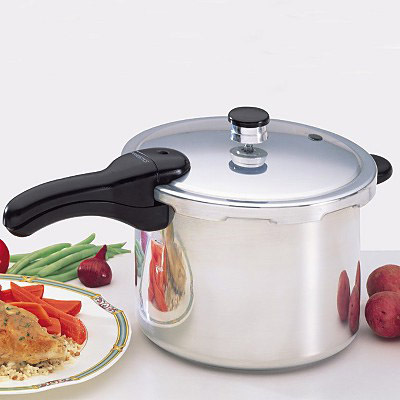 Pressure cookers are also used for canning purposes. The canners typically are of much higher capacity. The common cooker capacities used for this purpose are 17 quarts or 22 quarts. While they can be used in regular cooking too, you need really large quantities of food to justify their use. Besides volume you also need to look at the material of the cooker. Stainless steel cookers are non-reacting, durable, shiny, scratch resistant and easy to wash. However, they are more expensive and stainless steel is not as good a conductor as aluminum. Aluminum cookers are great for cooker but can get scratched and they also react with acidic foods. The ideal solution is to get the stainless steel cookers with encased aluminum base. These actually work on the mechanism of trapping the pressure. The cooking is done fast as the steam from the liquid is trapped inside which increases the pressure in the liquid. This enables the molecules to take more energy to escape thus increasing the temperature of the boiling water. Generally the boiling temperature of water is 212 degrees fahren heit though varies with altitude,but in this case it is 250 degrees which helps to cook faster. Brown rice, beets and dry beans usually take about 1 to 2 hours to be cooked but using pressure cooker you can reduce this time by 70 percent. When the cooking time is saved it implies that the energy is also saved. These cookers became popular in the United States after the World War II when the conservation of energy was on the peak. It is still the same even now. As there is a cutting of 70 percent cooking time two thirds of energy is also conserved. There is no other way to save energy unless you use a solar cooker or wood stove. As there is a lot of saving in the energy consumption you will actually save so many dollars. So many meals cooked in this cooker will cost very little. It is estimated that almost 325 $ are saved in a year if you use this cooker and an amazing fact is that these last for almost 20 years. You can also save money by purchasing less expensive meats and dry beans and make them more tasty using a pressure cooker. You can also use less expensive pasta, whole grains, dried fruits, vegetables or mushrooms and convert them into tasty and healthy foods. These help you eat healthy food. The food cooked in pressure cookers becomes tastier and it is said that less seasoning is required as fresh ingredients can be used instead of canned items. Slow cooking facilitates some food products which is achieved in pressure cooking in less time. The main objective in using processed food is to save money or time. 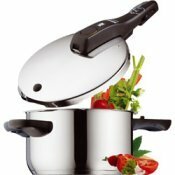 But pressure cooker provides you with both in addition to providing tastier and healthier food and hence proves to be a better choice. A stainless steel model starts from 50$ to a few hundred dollars depending on the features that the cooker has. An aluminium model costs from 20$ to 50$. If you want to choose electric models they range from 70$ to 150$. Whichever model you opt you can save money on a long run. You can also get these products as used ones but you need to get them checked before you purchase. 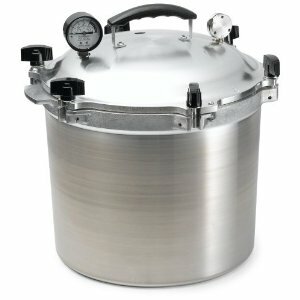 Do I need Pressure Cooker Review? Do not just go by whatever the manufacturer has mentioned about the product. The information could be really useful or just advertisement fluff. You need to take a more objective than just get influenced by fancy marketing. If you see regular cooker products being sold at high prices, they probably are not that good. Look at the features that matter to you and see if it is really worth paying for those vital functions. 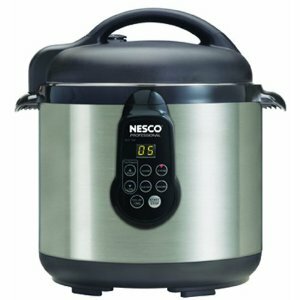 You will find many fancy cookers like Turbo and Prestige that charge a premium for just low pressure cooking. The lower pressure, the less effective the cooker is, so beware. Then there are other highly priced cookers that do not generate sufficient high pressure for ideal pressure cooking. A good example is the T-Fal cookers which reach just 13 psi. The standard high pressure value in most cookers is 15 psi. Using a lower pressure cooker means you need to recalibrate the recipe timings to lower pressure. So you can see that it is easy to get misled with all the fancy features and crazy advertisements. The most important thing is to stay practical and objective about your real needs and the look for the best price satisfying those needs.